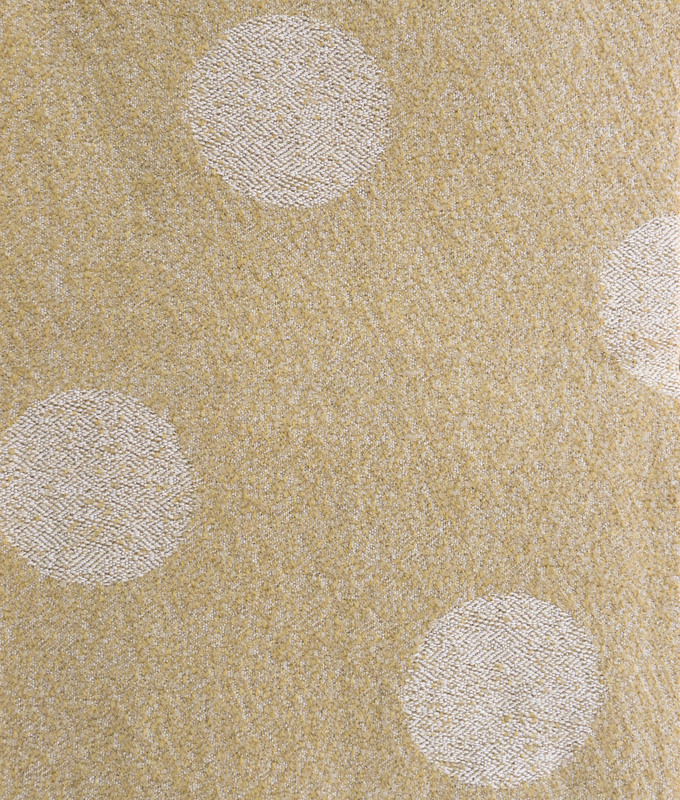 Our Americana throws combine beauty, warmth and softness. 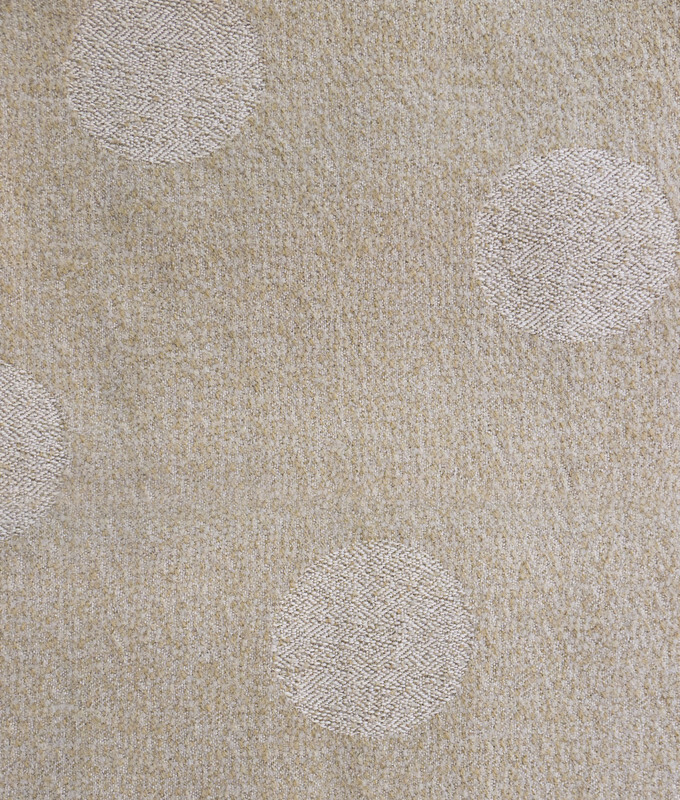 The juxtaposition of the lustrous, mercerized cotton and the matte surface of the wool make this an exceptionally handsome textile. 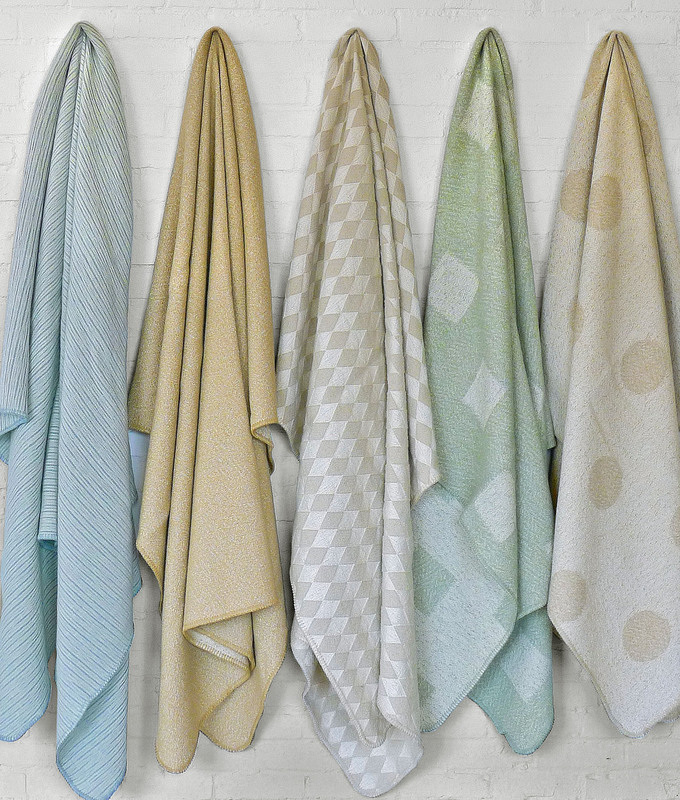 Our in-house finishing leaves these throws soft to the touch and to the eye. Wool has long been a popular American fiber. 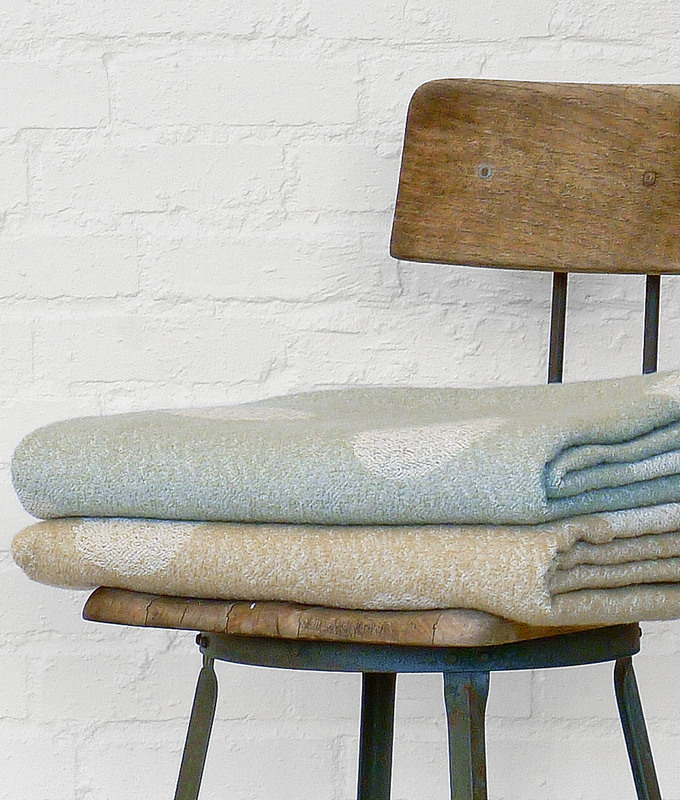 Tempered by the cotton, these throws fit modern standards of comfort and style for humans and, by the way, their pets. 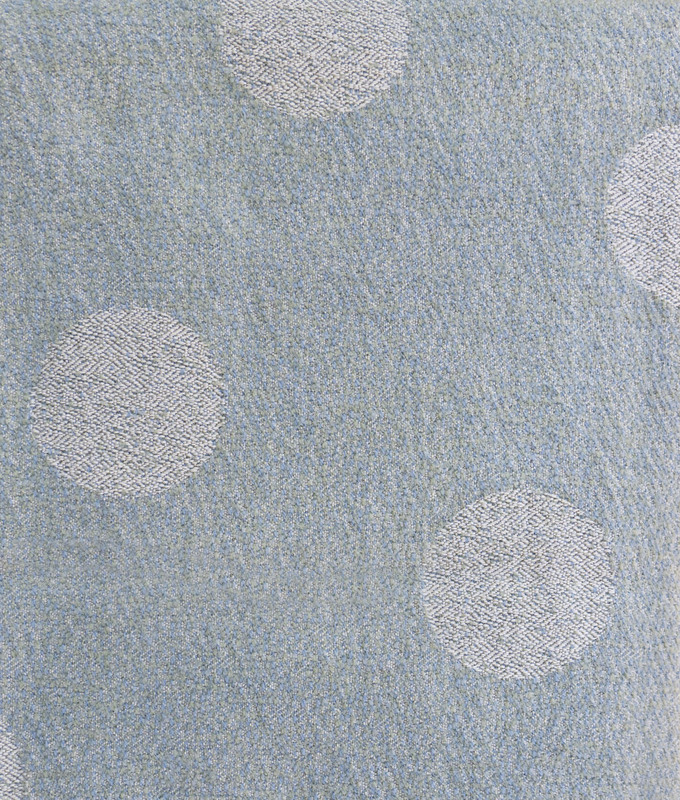 Our signature combination of lustrous Egyptian Mercerized Giza cotton and the soft quality of premium New Zealand wool are highlighted in this collection. 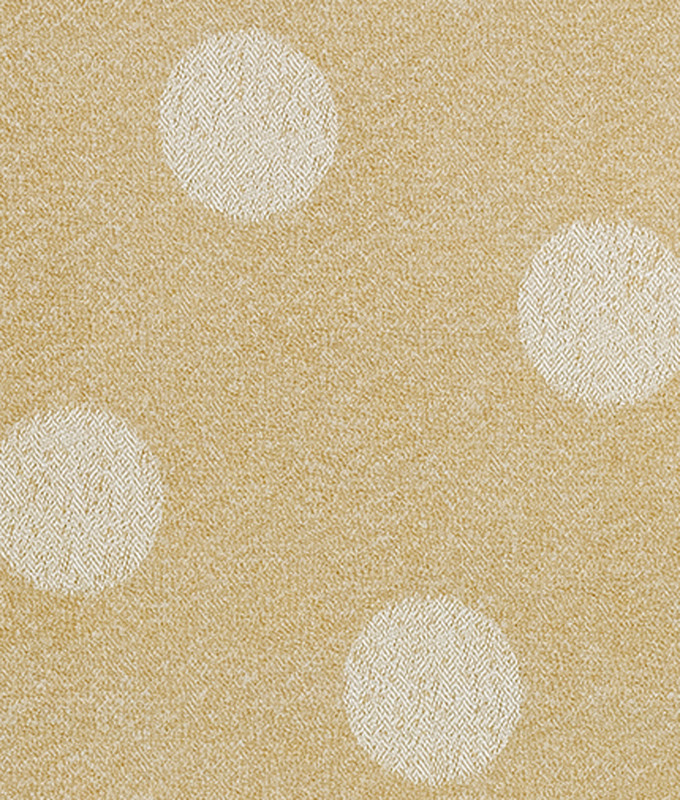 The solid texture weave is interrupted by large, contrasting, squares or dots, well matched to furniture from craftsman to modern.